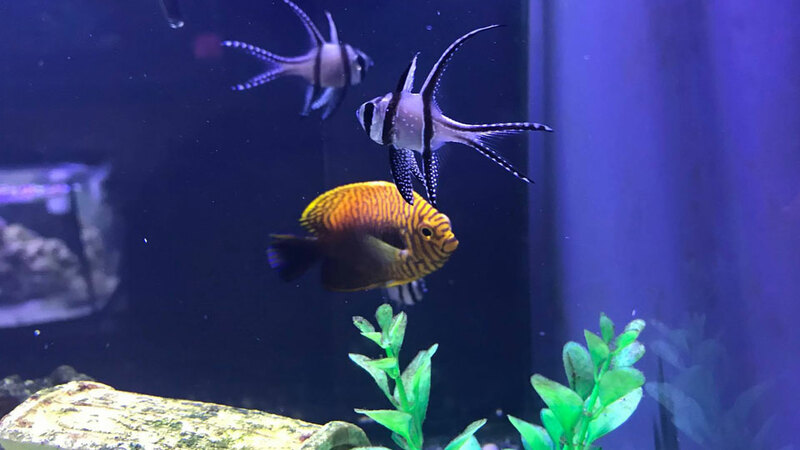 The ultimate local fish shop, Aquatopia is a family-run fresh and saltwater fish and aquarium business offering first rate customer service and competitive pricing on the coolest fish and quality products. Aquatopia strives to bring oddball and rare freshwater and saltwater fish as well as the old standbys. They do their best to ensure their customers are educated and prepared to house their fish properly so they can live long and happy lives while providing enjoyment and relaxation to their caretakers. They actively seek out local breeders of high quality fish so they not only keep more money circulating locally, but also to ensure that the fish will be happy in the conditions their customers can provide. In addition to happy, healthy fish, they aim to provide first rate customer service while still maintaining competitive pricing on aquariums and aquarium supplies. For example, they offer free water tests and experienced advice. If you’re on a budget, or you just like good deals, they have a constantly changing selection of used aquariums and equipment.